Shamballa bracelets are a set of bracelets which supposed to be a symbol of enlightenment, peace, and perfection. In nowadays, more and more jewelry makers make shamballa bracelets. However, have you found the right beads for shamballa bracelets? You may need a detail introduction of shamballa bracelet beads for your shamballa style bracelet making. In general, Shamballa style bracelets are woven, braided, and knotted with shamballa bracelet beads. And these beads mostly are large hole beads including shamballa rhinestone beads, shamballa skull beads, shamballa crystal beads and other beads for Shamballa bracelets. What's more, shamballa heart beads are commonly used too. If you want to make a shamballa style bracelet, choose some beads of fun shapes, such as cross, heart, skull etc. Our shamballa bracelet beads are offered with abundant diversities, high qualities and cheap prices. 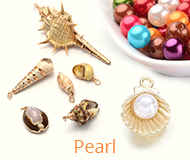 You can select the most unique beads for shamballa bracelets here at Pandahall. Shamballa symbolizes peace, tranquility & happiness, they can be worn for healing, meditation or spiritual path. Also wearing a shamballa style bracelet out will make you more glamorous. Pandahall provides diversities shamballa bracelets with shamballa bracelet beads. Rhinestone beads must be the most commonly used shamballa bracelet beads. Different shapes and color of shamballa rhinestone beads are available here. People use skull beads for shamballa bracelets as this kind of bracelet beads are suitable for making shamballa bracelets for men. So choose these kinds of shamballa bracelet beads from pandahall. 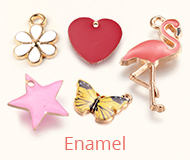 Heart shape beads always symbolize love and hope. The following shamballa heart beads for shamballa bracelets are differ from materials or color. You can select them as you like. 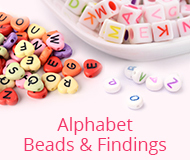 There are other kinds of bracelet beads that can be used as shamballa beads as well. And you can wholesale shamballa bracelet beads with cheap price at pandahall.